The Hague is a beautiful Dutch city of 500 000 people. Hague functions as the capital of the province of South Holland. In The Hague are important institutions - the seat of Dutch government and parliament, the Supreme Court and the State Council. 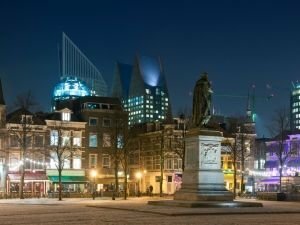 Because very often people think that the city is the capital of the Netherlands, in practice it has the most important institutions in the country. The city has over a hundred foreign embassies and international organizations. The Hague International Court is the International Criminal Court. Hague emerged back in 1230, its founder was the Count of Holland, Floris the Fourth, who decided to build a hunting residence in this place. In 1248 another Count of Holland - William II decided to extend the building. He also could not enjoy the sight of the executed idea - he died before the palace was completed. The building was completed by his son Floris the Fifth. Knights' Hall, located in the building, is now used for holding political events. 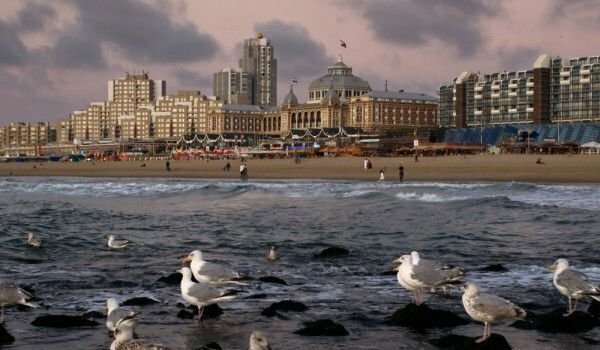 The Hague is first mentioned as Hage in the early thirteenth century. Then in written documents the town's name is mentioned as Graven Hage. When the Dukes of Burgundy acquire control of Holland, they appoint a person to a special office to determine their place on the Board. At the beginning of the Eighty Years War, the lack of walls around the city has a detrimental effect, as it facilitates the Spanish troops capturing the town. From 1588 Hague became the center of the Dutch Republic government. Even at that time the city had the stork as its symbol. In order for the administration to maintain control over the city, The Hague does not receive official status of a city. In 1806 The Hague was allowed to be called a city. After the Napoleonic wars the territory of modern Belgium and the Netherlands combined, and thus the United Kingdom of the Netherlands was created. It was designed to be a buffer zone against France. To not offend, The Hague and Bru/undefined ssels alternate every two years in their status as capital of the kingdom. However, the government was only based in The Hague. In 1830, after the secession of Belgium, The Hague remained the seat of government, and Amsterdam became the capital of the Netherlands. Because of its history, the historical city center differs from the centers of the smaller nearby cities. In the historic center, which attracts many tourists, there are many small streets, built during the Middle Ages and spacious streets, in which are located wealthy houses from the middle of the eighteenth century. The center has a large church from the fifteenth century and several spectacular palaces from the seventeenth century. Tourists often visit the Protestant church, built in the seventeenth century. In the mid-nineteenth century Hague had grown because of the new role of city and many streets were constructed specifically for civil servants. The city gained the area of Loosduinen. During World War II, the city managed to retain many of its important buildings. The Atlantic Wall was built. In March 1945 the city was attacked with bombs by the Royal Air Force by mistake. Over five hundred people were killed by bombs and today you can see the destruction caused by the bombs, not recovered. After the war, in The Hague arrived a construction boom and the town expanded. The destroyed buildings were restored and the population increased. In the nineties of the twentieth century it was joined by the territory of nearby cities. In The Hague there are many interesting museums and cultural attractions. Among them is Madurodam, which is a miniature city that contains hundreds of models of historical attractions from the Netherlands. The museum Mauritshuis has paintings of many Dutch masters, including Rembrandt and Vermeer. Binnenhof is a magnificent Gothic building where the Municipal Court is. Binnenhof was built as a castle, but after a while was used mainly for a place where they held public executions of convics. Palace Noordeinde is owned by the royal family of Holland. It was expanded in the sixteenth century and is one of the four palaces that the royal family holds. Peace Palace, built in 1913, is one of the biggest attractions of the city. Peace Palace, which is where the headquarters of the International Court of Justice are, can be seen through tours that are designed specifically for tourists.